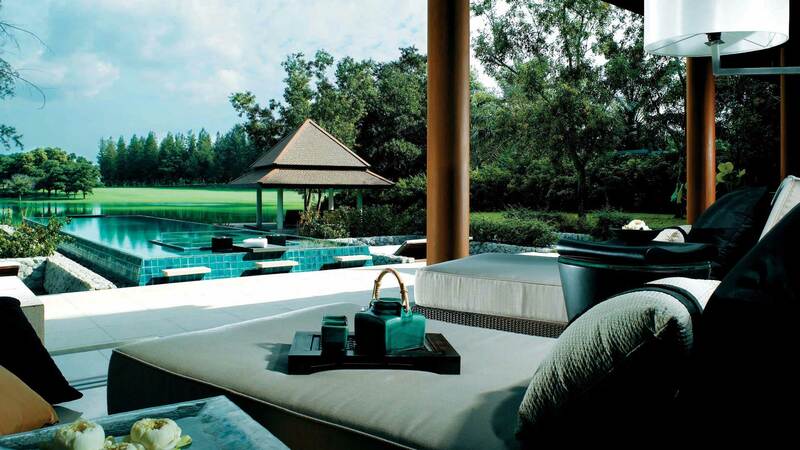 Banyan Tree Grand Residences offers the opportunity to use the property as a primary home in a private gated community while the owners still enjoy superior privileges and benefits from The Sanctuary Club. With only 8 villas available, residences come with incomparable Banyan Tree touch – renowned for its personalized attention, luxurious interior design and tropical Asian spirit. 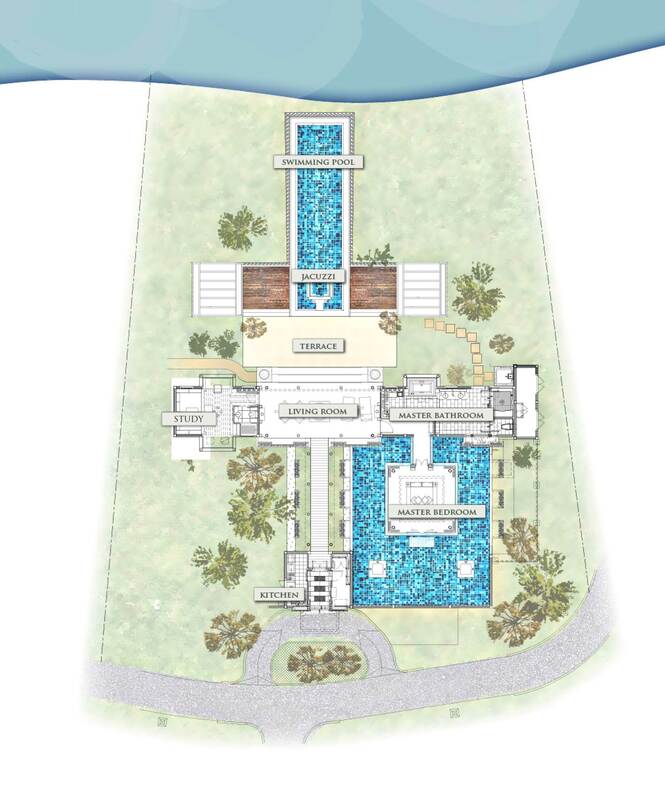 Each residence is designed around a poolside terrace, opening out to swimming pool with Jacuzzi and outdoor shower with a raised relaxation sala providing overview of serene villa. Thoughtfully designed with romance and privacy in mind, these villas comprise three bedrooms with spacious opened plan living and dining area. Banyan Tree DoublePool Villas boast One Bedroom villas with private infinity pools, ample living areas furnished with tropic-friendly wicker, teak and bamboo materials, private patios for divine entertaining, spacious bathrooms and fully equipped kitchens. 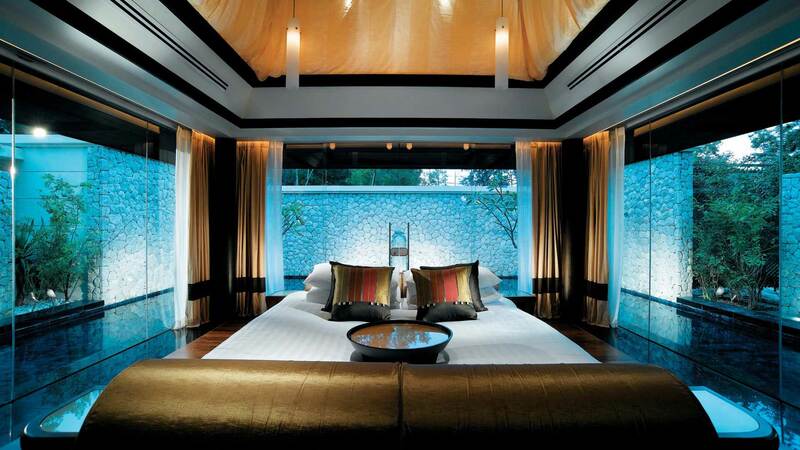 The magnificent Banyan Tree Grand Residences project consists of 19 exquisitely designed 3 and 5 bedroom villas and are built in a modern contemporary architectural style with Thai traditional influences, providing absolute privacy and tranquil seclusion. Each villa presents capacious living areas with an unsullied flow of interior design and a layout which includes an expansive shaded terrace that links the living area to a large infinity swimming pools with integrated Jacuzzi. An open garden courtyard welcomes all family members and visitors, creating a real sense of arrival. 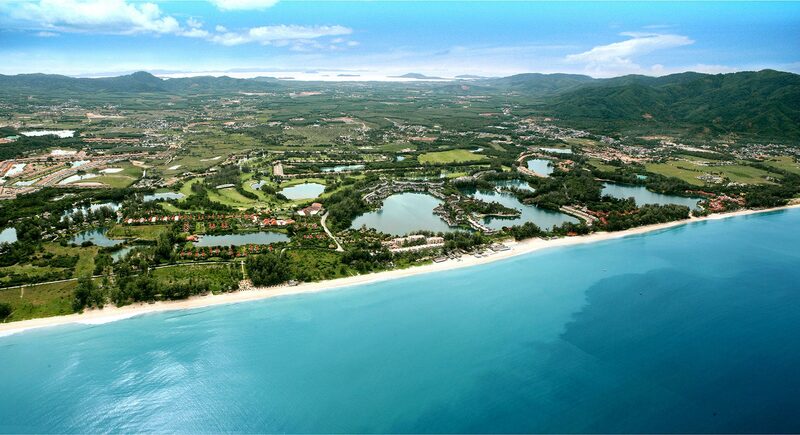 Laguna Phuket, Asia's first integrated destination resort, is a holiday paradise of deluxe hotels and villas spanning 1,000 acres of tropical parkland along an eight kilometer stretch of pristine beach at Bang Tao Bay on Phuket's West coast, in Thailand. 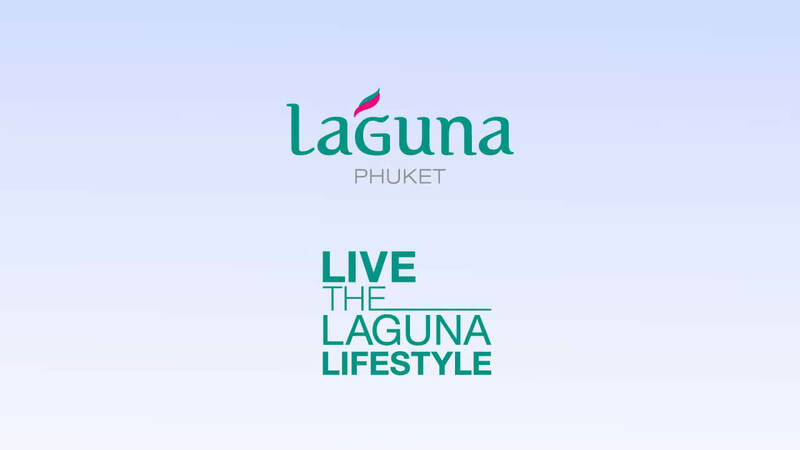 Facilities and activities include spas, restaurants, bars, boutique shopping, private charter and join-in luxury tours, daily activities at most Laguna Phuket hotels, canoing, sailing, resort golf, and (of course) the pristine beaches and azure waters of the Andaman Sea. Buildings are sold on a freehold basis. 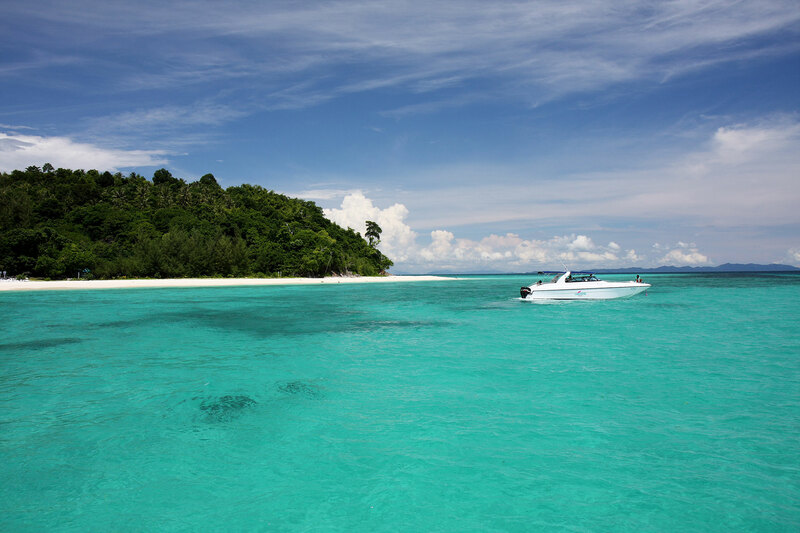 Land is available on a leasehold basis for foreign buyers. According to Thai law, non-Thai’s are not entitled to own the land itself. Land leases are registered with the government (currently for a maximum period of 30 years as permitted by law) and are renewable. Land will be available for freehold purchase by Thai buyers once a land subdivision is completed. Land lease registration fees and stamp duty (currently 1.1% of the lease premium) is payable to the Land Department upon registration of the land lease. The burden between seller and buyer for the above costs will be specified in the relevant agreements. Applicable rates stated are current and may be subject to change. Leasehold land ownership is the preferred method of ownership for foreign buyers. Once the lease is registered at the Land Department, the lessee’s rights over the land will be officially recognized. When will the registration and transfer of the land and buildings take place? What is the measurement of square wah? 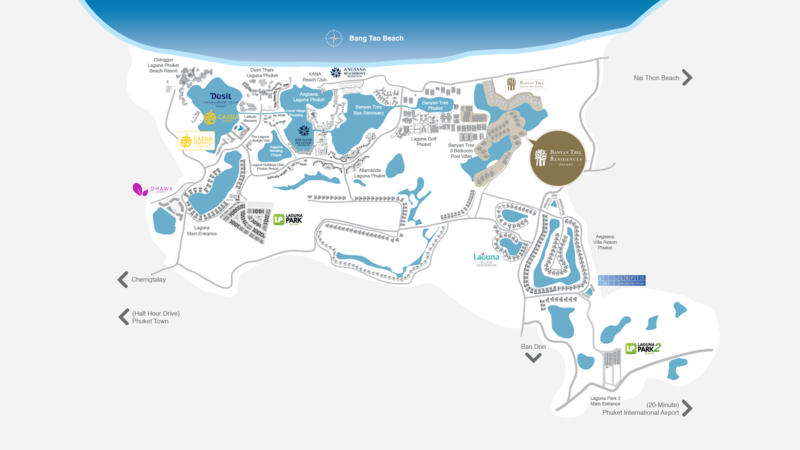 The development includes 19 luxury private residences situated on a lagoon adjacent to the exclusive Banyan Tree Phuket resort. The project area is approximately 36,500 square metres or 23 rai (subject to final survey). Construction of individual residences will take approximately 12 - 18 months to complete. Is a warranty period offered? Yes. A one year building structure warranty is offered from the date of completion of construction. Fixed furnishings (wardrobes, kitchen cabinets and built-in appliances) and landscaping is included. Loose furniture and artworks are not included. Yes, subject to developer approval and provided the building is built in accordance with building code and permits as issued by the relevant authorities. What infrastructure and common facilities are provided and who will manage these? The infrastructure and common facilities includes roads and drainage, lighting, landscape areas and water and electricity supplies. The estate shall be exclusively managed by the developer (or its designated manager) and services shall include 24 hours on-site security, garbage collection, cleaning and maintenance of infrastructure and common facilities or any other services as required for the common use or benefit of owners. What are the estimated fees payable for the infrastructure, common facilities and services provided? The fees for the cost of maintenance for the infrastructure, common facilities and services provided (“common area fee”) shall be Baht 400 per square wah for the initial year (or Baht 160,000 for a 400 sqw = 1,600 sqm land plot) and may be subject to change based upon the actual expenses incurred from time to time. The annual fees are determined by the total expenses incurred and proportionately divided amongst the owners in the estate based upon their land area. In addition, a fund shall be established for the cost of major repairs, replacement and/or improvement for the infrastructure and common facilities (“special fund”). Contributions will be made on a regular basis so that the fund is built up over time. The rate shall be Baht 100 per square wah per year for the initial year (or Baht 40,000 for a 400 sqw = 1,600 sqm land plot) and may be subject to change. If the fund balance is not sufficient for the cost of major repairs, owners may be required to pay an additional amount as requested by the manager from time to time. The cost of water and electricity supplied to individual residences shall be based upon metered consumption. Our Banyan Tree estate service team also provide a full range of of property services to individual owners including pool cleaning, gardening, pest control, routine and preventative maintenance, general repairs, housekeeping and other reasonable requests. Rates vary according to the frequency and scope of service. A rental letting service is also available. 2. The above table sets out the estimated payments required under the respective payment plans for selling prices between THB 101,000,000 – 110,000,000. 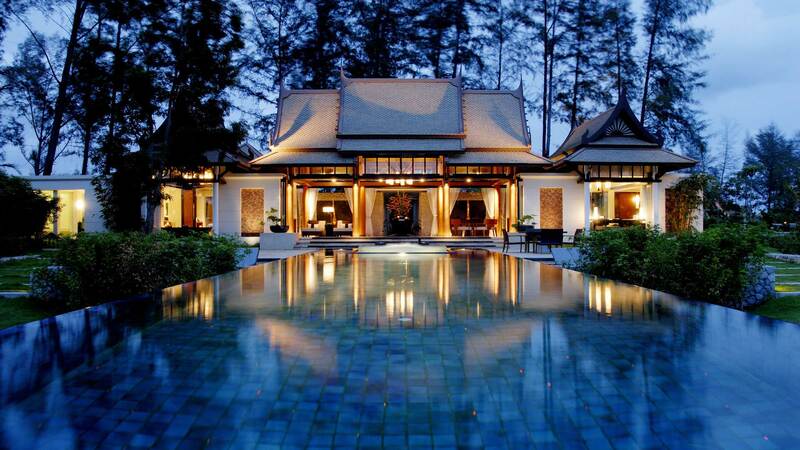 As these villas are an integral part of the exclusive Banyan Tree Resort, land is offered on a leasehold basis only. Leases are registered with the Government (currently for a maximum period of 30 years as permitted by law) and are renewable. However, the buildings are sold as freehold. Can leasehold be upgraded to freehold title? 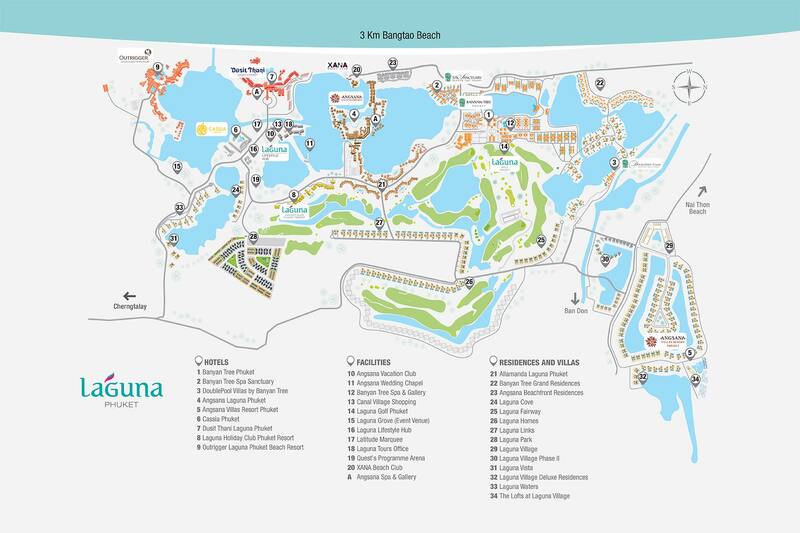 As these villas are an integral part of the exclusive Banyan Tree Resort, the option to purchase the land on a freehold basis is not available. Our land titles are free from mortgage and any encumbrances and this is the preferred method of ownership for foreign buyers. Once the lease is registered at the Land Department, the right of use to the land will be vested with the lessee. When will be the lease / house transfer registration take place? Within 90 days after full payments of the Rental and Purchase Price of the land and buildings have been made, we will notify the lessee / buyer of any required documents and fees which will be incurred upon registration. A one year warranty is offered on the building. Is there a rental programme available and what are the potential returns? 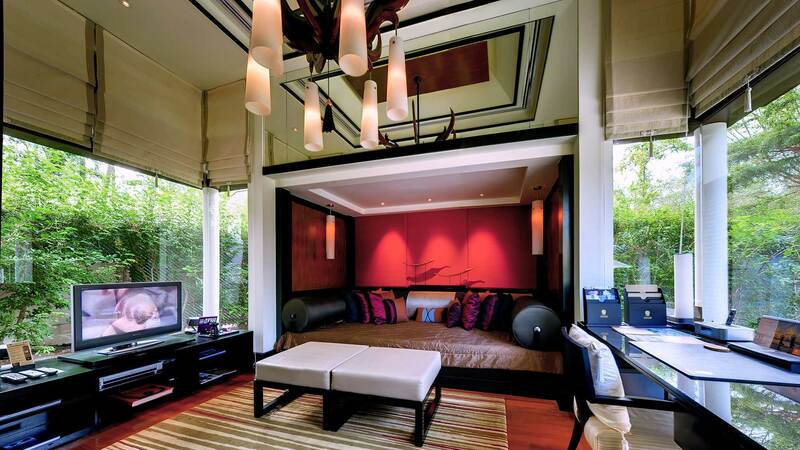 Banyan Tree Residences offer a unique investment opportunity. As a condition of sale, owners enter into a Villa Management Agreement with the Banyan Tree, under which owners will receive a return of. Rental return is 33% of net room revenue of which 3% is held in a reserve fund for future refurbishment costs. What are the taxes levied on the rental programme that an owner will be subject to? Note that those certain applicable tax rates rely upon the relevant Thai tax laws at the date of issue of this Q&A. Changes in law or circumstances may occur after the issue date. 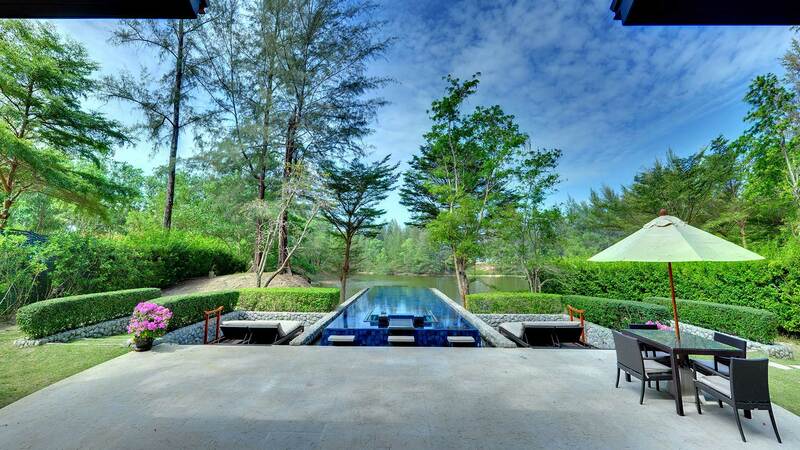 The Banyan Tree provides owners with a full management package and these services (such as housekeeping, pool cleaning, gardening, routine and preventative maintenance, general repairs and pest control) are included as part of the rental programme. 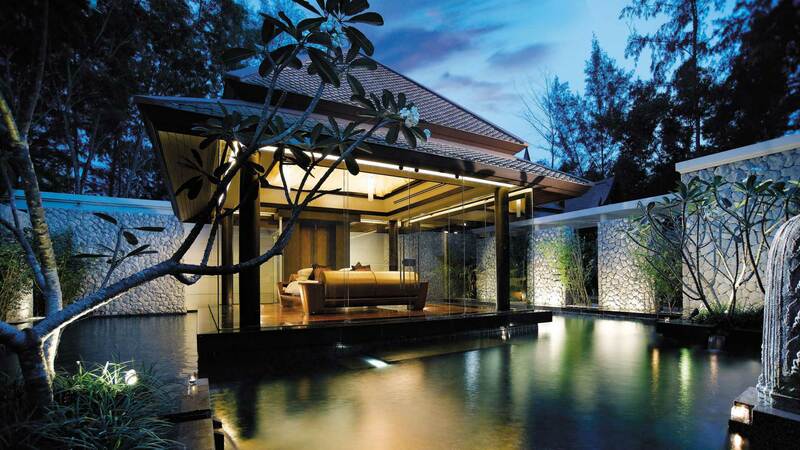 privileges will I receive as an owner of a Laguna Phuket property? 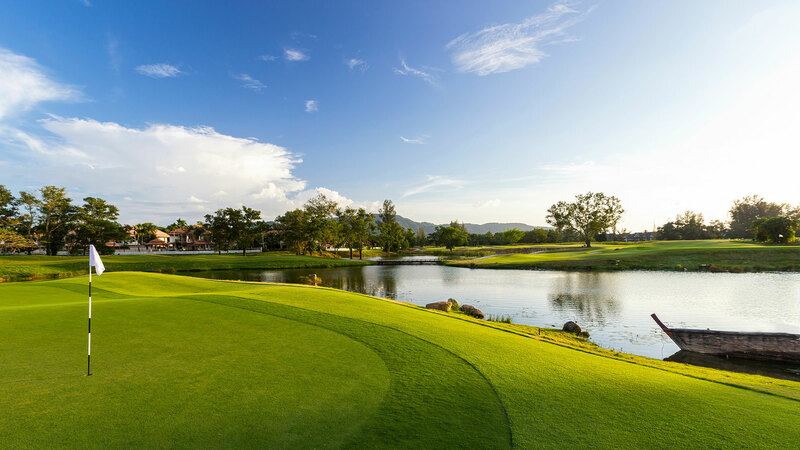 As an owner of a Banyan Tree Residence in Laguna Phuket, you may be entitled to a regular membership of Laguna Phuket Golf Club. 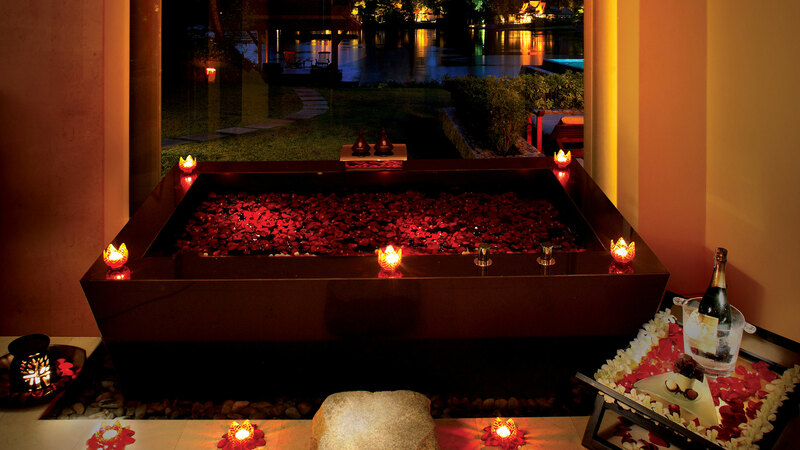 What privileges will I receive as an owner of a Banyan Tree Residence? 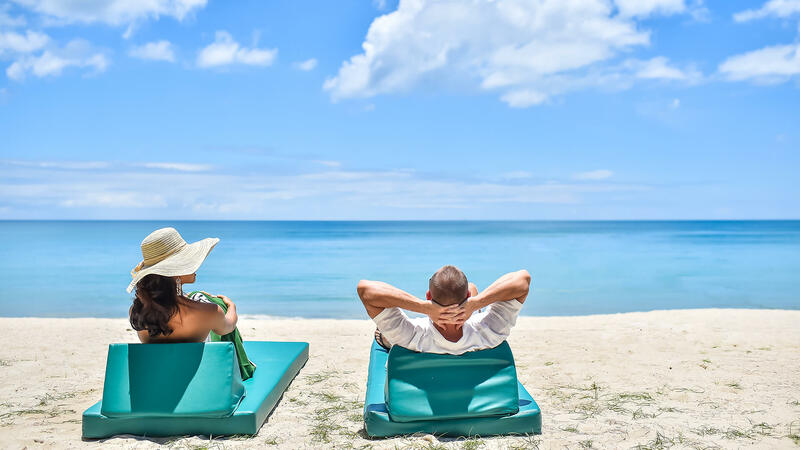 Owners will be automatically enrolled into the Banyan Tree Group’s “Sanctuary Club” which provides an opportunity to exchange part of your annual 60 days stay entitlement to enjoy stays other destinations within the network. 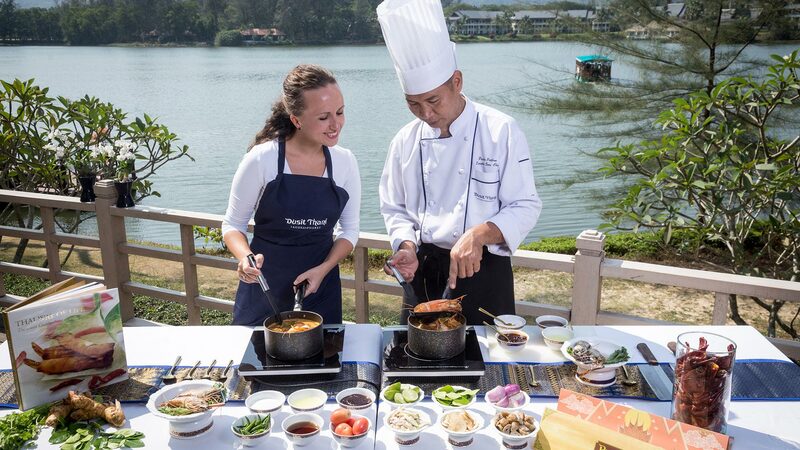 In addition, owners receive generous discounts at hotel restaurants, spas and golf operated by the Banyan Tree group worldwide, priority wait-list on reservations, early check-in / late check-out, and invitations to Xperential Guest Program for pre-opening, trial stays at new resorts (terms and conditions apply). Our dedicated owner services team are also available to assist with any reasonable request. 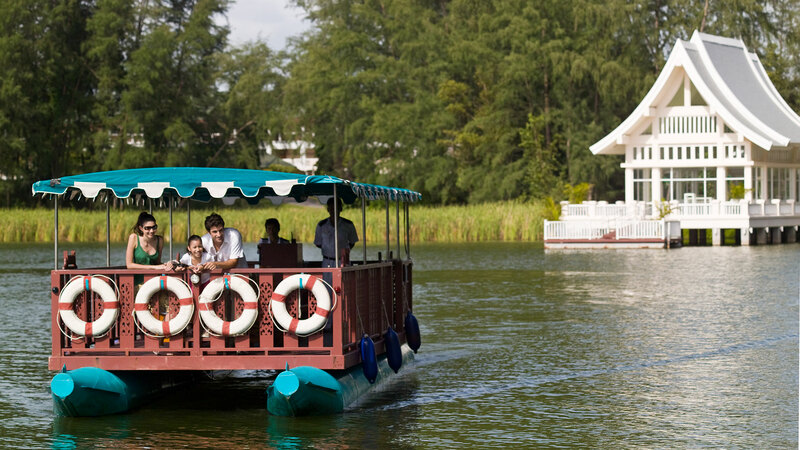 Being an owner in Asia’s leading resort, a collection of hotels with their restaurants, rejuvenating spas, recreation facilities (including the acclaimed Laguna Phuket Golf Course) and Canal Village shops are all within easy reach via the free inter-resort shuttle bus and ferry services. 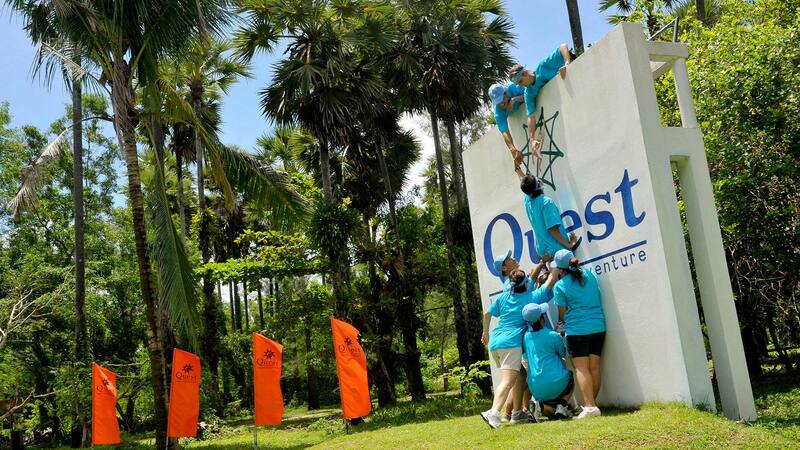 Infrastructure facilities, services and common area costs are absorbed by the Banyan Tree as part of their normal operating costs. 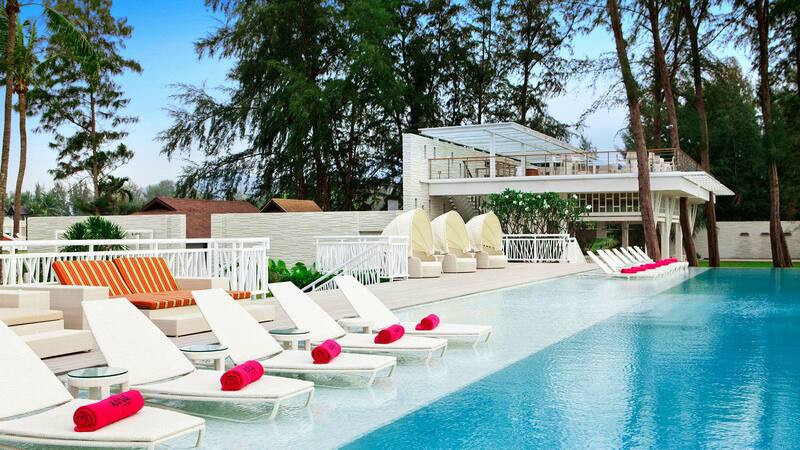 All services are of the highest standard, are provided by the Banyan Tree hotel and include. Security - 24-hour security guards stationed at the entrance gates to the hotel. Roads and fences – the Banyan Tree development contains private internal paths and a secure perimeter wall. Electricity – power is provided by the Provincial Electricity Authority of Thailand. Water - each project contains its own supply from either a reservoir and/or deep well. 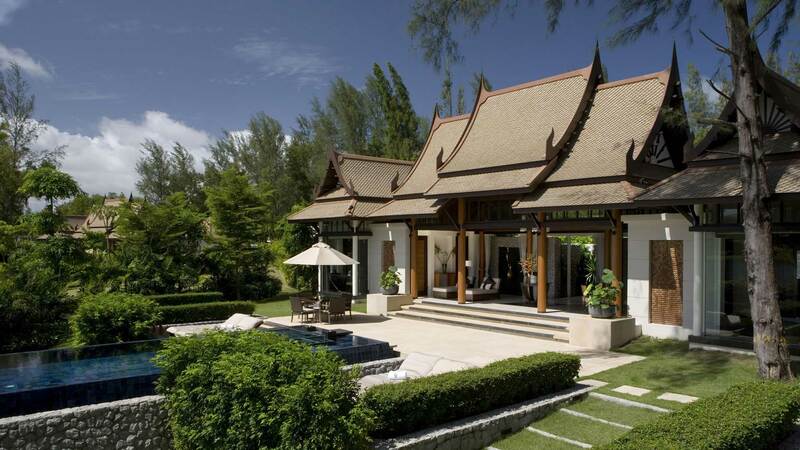 Landscaped areas and gardens - maintained by the Banyan Tree’s team of gardeners. Communications – each house is provided with internal and external telephone lines and broadband and cable TV connections. 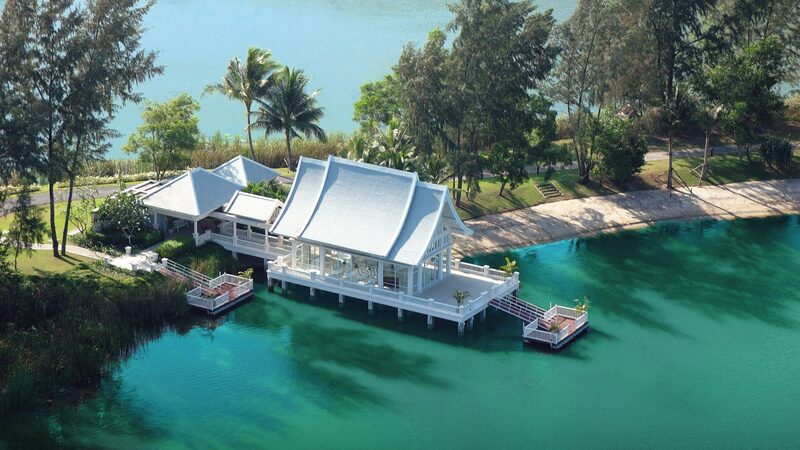 Daily maid service – is provided by highly trained Banyan Tree staff (for DoublePool Villa owners, a 24-hour butler is available for owners’ convenience for the duration of their stay).